Just a quick post today to draw your attention to this interview I recently did with Chinese-Tools.com about street food, travels, and my book. While you're over there, be sure to check out some of their great resources for learners and lovers of Chinese language and culture. They've got dictionaries, articles, a tool that lets you write in Chinese without downloading any software, and lots more. Thanks for the interview, Chinese-Tools.com! In certain parts of China, they have a saying: 天上龙肉, 地上驴肉. Roughly translated, this means “In heaven there is dragon meat; on earth, there is donkey meat.” That’s right—the donkey, perhaps the humblest of all equines, is apparently the closest we have on earth to the ambrosia of the gods. 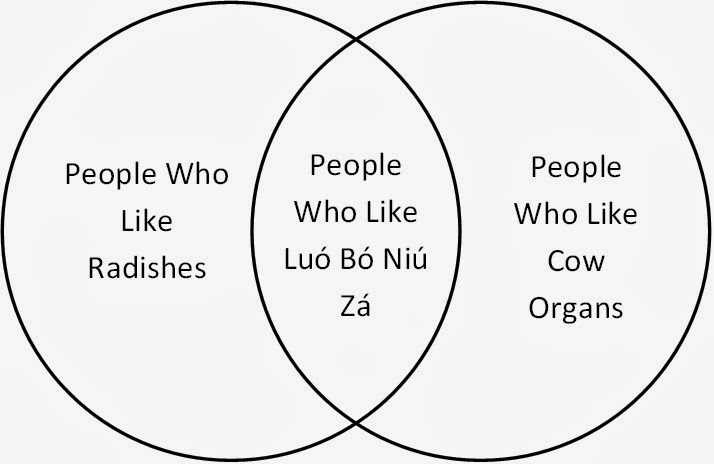 If this seems unlikely to you, then you obviously haven’t eaten lú ròu huŏ shāo, a sandwich that makes a compelling argument in favor of donkeys as food. Historical records suggest that the regional tradition of eating donkey meat goes back to the Ming Dynasty (1368 – 1644). During the reign of the Yongle Emperor at the beginning of the 15th century, some starving military men in dire straits resorted to slaughtering their horses and eating the meat with bread. They were surprised to find that this was an excellent combination, and the custom soon spread to local peasants. Of course horses are not cheap, and the 15th century Chinese peasants could not afford to keep up this practice for very long. In an effort to cut costs, they switched to the more economical donkey meat with bread and found, amazingly, that it was even more delicious than the horse meat. The rest, as they say, is history. To this day, donkey meat sandwiches are a popular repast in Baoding (as well as Hebei at large). Lú ròu huŏ shāo begins with shredded donkey meat stewed with secret, vendor-specific blends of spices and sauces, which is generously scooped onto a golden, flaky bun. The bread of the sandwich is thick and just a little bit greasy—a perfect complement to the lean, flavorful donkey meat. Sandwiches are a rare find in traditional Chinese food; after eating lú ròu huŏ shāo, you might wish that weren’t so. In no uncertain terms, I can tell you that lú ròu huŏ shāo is fantastic: buttery, juicy, carefully spiced, savory, and lots more. Donkey meat may not be dragon meat, but perhaps it’s the closest we’ve got. I think I'd start my day with a steaming bowl of Wuhan's 热干面, one of the best breakfast-time noodle dishes in the country. Assuming I still have some room left in my stomach for a sweeter, cooler dish, I might head up to Inner Mongolia for a bowl of 酸奶炒米. This one has a lower profile in the country than 热干面, but it's still a delicious start to a big day of eating. All it is, basically, is cold butter, crispy millet puffs, and sugar. Can you imagine? It's completely decadent and well worth the guilt you might feel about eating a bowl of butter and sugar. When lunchtime rolls around, I would jet over to Chengdu to have one of my favorite dishes in all of China: 甜水面. Like many dishes in Chengdu, these thick, rough-hewn, slightly stiff noodles are topped with a fantastic málà sauce. That by itself would probably be tasty enough, but to make things even better, 甜水面 comes with a generous sprinkling of fat sugar crystals on top. The mixture of flavors and sensations is divine -- sweet, spicy, numbing, hearty -- it's very nearly a perfect bowl of noodles. For a mid-afternoon snack, I would likely nibble on either Ningbo's 缙云烧饼, Kunming's 猪蹄, Xi'an's 柿子饼, Guiyang's 豆腐圆子, or Jiujiang's 油糍 (which happens to be the first Chinese street food I fell in love with). If I was feeling especially peckish, I might have two or three of those. When dinnertime rolled around, I think I would go down to Guangzhou and start with a bowl of 萝卜牛杂: cow organs and radishes in broth. It's a delightful mix of textures and flavors, especially if you like offal. Since that dish is pretty small, I imagine I'd have room for a little bit more dinner and would stop by Xi'an to get a big bowl of 羊肉泡馍. With its greasy mutton, dense steamed bread, and salty broth, this is a truly filling (and truly delicious) meal. At the end of the day, I think I'd want to finish in Harbin with a refreshing 马迭尔冰棍. This milk-flavored ice cream on a stick was brought to the city by the Russian Jewish population over one hundred years ago, and it is still as tasty as ever. I always like to end a day with something cool and sweet, and this one fits the bill to a T. That wraps up a wonderful day of eating in China. I'd go to bed happy and fat that night. So that's my perfect day. What would yours be, reader? It was in January of 2013 that I last gave the world a progress report on my book. Much has happened in my life and in the world at large in the year that has elapsed between then and now, and that includes a certain amount of writing. Today seems like a good day to give a new update on how things are coming along. Due to certain obstacles and non-writing commitments (some of which were highlighted in the writing update from last January), there were about 8 months in 2013 in which I didn't write a single word of the book. In an effort to subdue the forces conspiring against the completion my book, I made a point of planning my end-of-the-year schedule so that those obstacles and commitments largely vanished after the beginning of October, leaving me several months to focus on writing. That planning paid off: as of yesterday, I can officially say that I have finished writing the bulk of the book! So what does that mean? It means that I've written up short reviews for each of the hundreds of street foods I ate in China. For every single food, this entailed deciphering handwritten Chinese characters in my notebook, researching the dish to learn its history and ingredients and to be sure it actually originated where I am telling people it originated (often needing to pore through inscrutable Google translations of Chinese websites to get my information), and trying to come up with an engaging way of describing it that doesn't sound exactly the same as all the other write-ups in the book (how many ways can you say delicious, spicy, or oily?). When I was in a good writing routine, my general goal was to do this for five foods a day, a goal that fit comfortably in the middle ground between not getting enough done and not getting burnt out. This whole process was (I hope) the most time-consuming part of writing this book by far. All that remains to do now is editing, layout, a little bit of fact-checking, writing a few introductory sections, wrapping up a few other odds and ends, and publishing. I'd guess that I have less than 15% of the work remaining. I don't know how long this might take, but I am confident it won't take nearly as long as the writing I have already done. My basic estimate is about two or three solid, unhindered months of work. Unfortunately, I have some commitments coming down the pike so I don't have that kind of time available right away. Nonetheless, I hope to have this book finished and out on the market later this year. So there you have it. That's where things stand right now. I'm pleased to have the day-to-day tedium of slogging through these write-ups behind me, and I'm looking forward to the next stage in the process. Naturally, I'll try to keep you updated as things continue to progress. Onward! One of Guangzhou's signature dishes, luó bó niú zá (萝卜牛杂) is nothing more than a stew made with beef hearts, livers, spleens, stomachs, intestines, and lungs, along with some large chunks of soft, white radish. They are all boiled together in a large drum of water with a shelf near the top for organs that are finished cooking. As the various ingredients cook, the organ juices leech into the soup, which in turn soaks into the porous radish flesh. When you order a bowl of luó bó niú zá, the vendor will reach a ladle deep inside to scoop up some radish pieces from the bottom of the barrel, chop up some of the offal off of the offal shelf, and dump both components into a bowl with a small amount of the broth. The dish you end up with is a real highlight of South Chinese cuisine. The organ meat can be chewy, soft, tough, sweet, salty, rich, or savory depending on which part it is. And the tender radishes have soaked up so much of the juices that they themselves are hot and juicy, retaining just enough of the piquant flavor that you look for in a fresh radish. Even the broth is tasty, having been flavored with a vendor’s particular blend of spices. Put everything together and you get a wonderful combination that I absolutely recommend trying in Guangzhou—particularly if you find yourself in that middle point on the Venn diagram. Walk around Beijing for a few short hours and you are guaranteed to see the characters “老北京” (lăo Bĕijīng) emblazoned on a number of shop fronts. The phrase means “old Beijing,” and it is ubiquitous in the city. In most cases it is meant as a signal to tourists that you can buy traditional Beijing foods or crafts or whatever at that establishment—an enticement of authenticity. Unfortunately, however, four times out of five it’s little more than a cheap marketing ploy. It’s the Beijing equivalent of U.S. manufacturers plastering the word “artisanal” onto a wholesome looking package to attract the eyes of well-meaning consumers susceptible to sneaking advertising tactics. In a sea of pseudo-lăo Bĕijīng products, it is always a pleasant surprise to come across something that truly deserves the title. One such example is dòu zhī (豆汁), a food with a long history in the city, a large and devoted following among elderly Beijingers, and a notoriously hard-to-acquire taste. So what is it? A sour, fermented milk made of mung beans. More specifically, it is a by-product resulting from the preparation of cellophane noodles. Frankly speaking, dòu zhī does not come across as particularly appetizing. It looks like dirty, gray dishwater and smells like eggs and fetid gym socks. The taste is a combination of the two. It is thin and starchy, sour with a subtle beany aftertaste. Many locals say it must be eaten on at least three separate occasions before you can start to enjoy the flavor—after that, it is supposedly quite addictive. 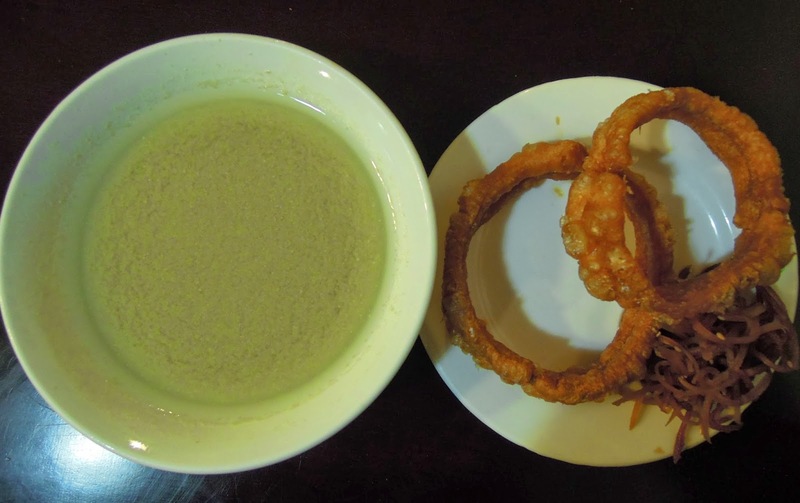 It is almost always served with two side dishes that help cut the taste a little bit: pickled vegetables and crispy rings of fried dough called jiāo quān. Dòu zhī absolutely lives up to its reputation as an acquired taste—it’s not going to be for everyone. Nonetheless, dòu zhī is a must-try for street food aficionados passing through the city. It’s an indelible part of the city’s cultural heritage, providing cheap sustenance to locals for hundreds of years. Perhaps the best endorsement comes from an old Chinese saying, which goes: “没有喝过豆汁儿，不算到过北京.” That roughly translates to “you haven’t been to Beijing unless you have tasted dòu zhī.” What more needs to be said?